In Bergen 24 April – 4 May! A reminder of upcoming dates of events in Bergen this coming week and next! It´s a longer trip this time as i won´t be in Bergen again until August! Arranged some sunshine too so who knows, an impromptu outdoor yoga in the sunshine for old times sake? Hope you can come out and play! 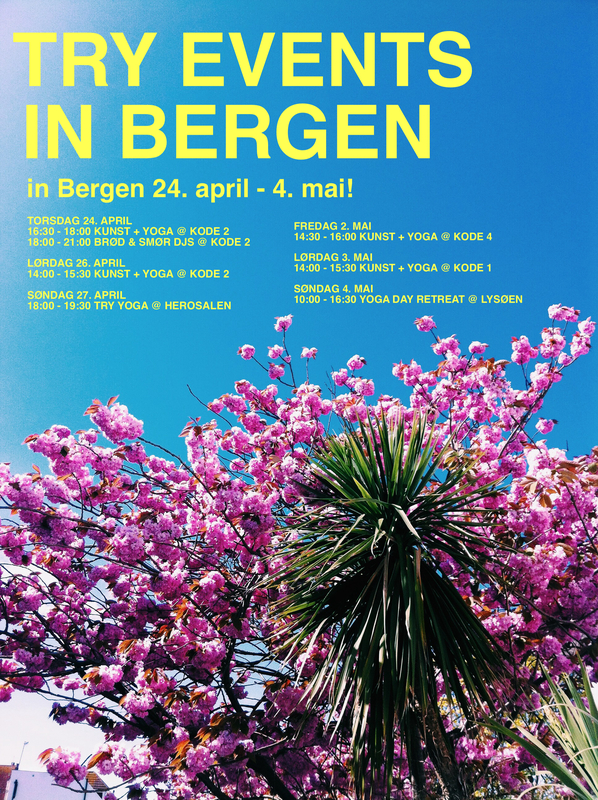 This entry was posted in art + yoga, Bergen Barneasyl, news, retreats, schedule, workshops & events and tagged art and yoga, Bergen, Bergen yoga, Herosalen, KODE Bergen, kunst yoga, Lysøen, Norway, Ole Bull, spring yoga, yoga day retreats. Bookmark the permalink. ← Yoga Day Retreat at Siljustøl // More pictures!